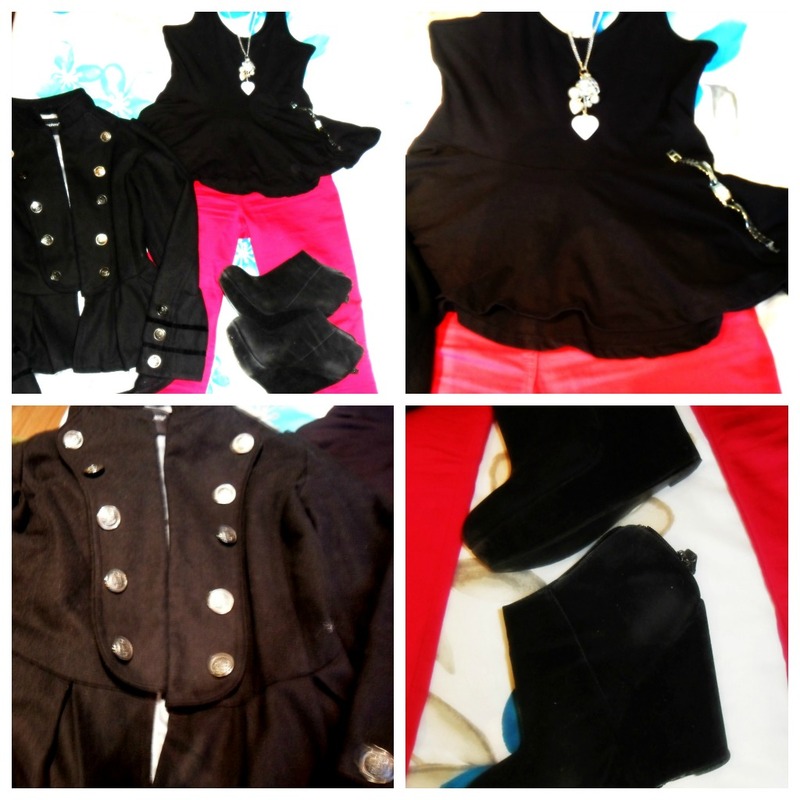 This outfit consists of Pink Jeans £14, Black Peplum Vest £4, Black Wedge Shoes £19.99, Black Military Style Jacket £22, Necklace £7.99 and DKNY Watch (gift). It's a simple but girly and structured look and keeps it a bit dressed up with the wedges and fitted jacket. This outfit consists of Red Lace Peplum Top £14.99, Jeans £11, Links of London Bracelet (gift), Studded Ballet Flats £8, Black Boyfriend Fit Blazer £19.99. This outfit is a bit more casual than the first outfit but is still girly and dressed up a bit by the red, long-sleeved peplum top and black blazer. So now it's your choice to help me with what to wear this weekend!